What’s next? What does your customer really want to buy now and in the future? 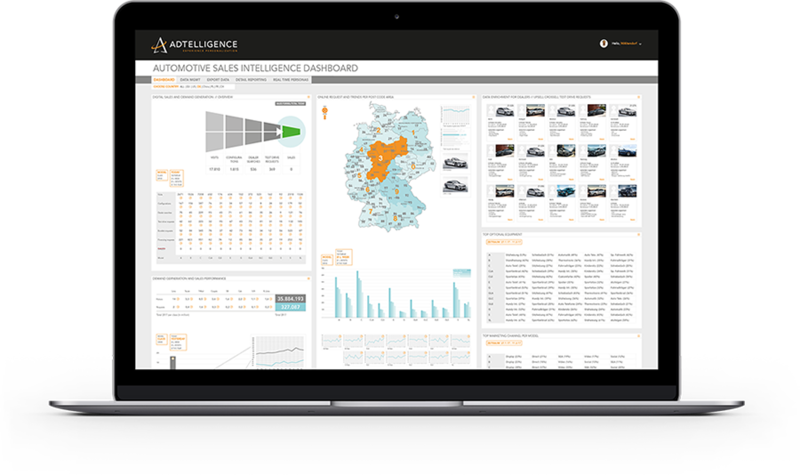 With Customer Intelligence you can find the answer and improve your corporate processes from production to sales. Create growth in all areas of the company! Website elements such as search, a price calculator or a product configurator continuously provide data about what your customers actually want. Use this information in real time! Management dashboards and detailed evaluations make it easy for you to visualize all data and to draw the right conclusions for product development and production, data-driven. Visitors without buying interest are automatically filtered out, allowing you to focus on serious customers. All data from data sources such as website/CMS, web analytics, CRM, PIM or sales systems are centrally brought together and made actionable. This turns unstructured data silos into valuable information! Create confidence in your data and leverage machine learning to experience which data points are actually decisive for your success. Evaluate the complete customer journey, from initial contact via marketing campaigns, through website behavior to product purchase and after sales, whether online or offline. What did your customers actually want and then what did they do? With Predictive Analytics you predict the future interest and buying behavior of your customers. Enable your product managers to access all relevant data of their individual product lines for the further development of products and adjustment to customer’s needs. Close the gap between anticipated and actual customer needs. Compare the customer interest on your website with your actual production and sales figures.